Despite several complaints about the iOS7, this latest Apple operating system offers numerous features to beat. Hidden Features – try to find one; I’m sure you can! Devices utilized for business including iPhones, iPads, or Mac computers are exposed to security dangers especially when pertinent business information are stored on such tools. 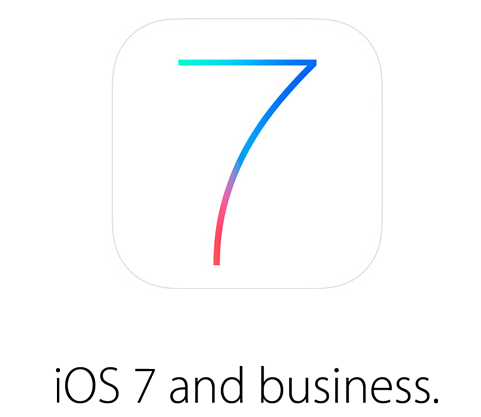 But with the iOS7 and its varied security features, your business files are protected. A finger activated lock combined with a pass code prevents unauthorized usage in case you misplace your device. If your gadget gets lost or stolen, labeling it as “lost” through your account online will render the device useless. The Find my iPhone feature listed above works for iPhones but for all other iOS7 compatible devices, once it’s reported as lost, the screen is locked to a message saying it’s been lost with your contact number displayed. Access to a business’ VPN or virtual private network can also be limited to apps distributed by the company alone and restricts an employee’s personal apps from gaining access to the VPN through an iOS VPN feature, thereby, preventing sensitive enterprise information from leaving the company premises after users leave the work floor. This option is available through the Per App VPN feature native to the iOS7. Even third-party apps and its contents are automatically protected once programmed with the network. A business app’s license can also be recycled and reassigned to another employee in case of resignation or termination. This also prevents any former employee from gaining access to company files when they’re no longer part of it. Connection to all company related apps is also made possible through one single pass code through the Enterprise Single Sign-on feature, making it easier to login without the need to enter multiple passwords. Earlier, the AirDrop was mentioned. This makes it easier to share work related files. And when used in conjunction with Apple’s cloud services, mobile employees can send reports and participate with meetings even while on the go. iWork apps are now free for download, competing with Microsoft’s own business apps that are already available for free. The iOS7 wasn’t exclusively designed for consumers. The features listed above prove that this OS benefits business too. 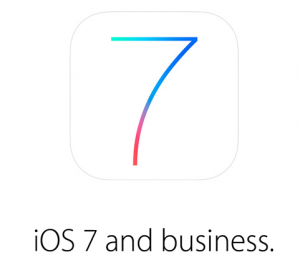 This entry was posted in Articles, iOS and tagged ios7 business. Bookmark the permalink.